I’ve gotten a lot of requests for some recipes that are both comforting and healthy at the same time. Without added cream, butter or gluten for that matter, it can feel like a daunting task to make a dish comforting. But, as we now know, my goal is for no one to have to miss out on anything because of food allergies or dietary choices. So keep checking in for lots of delicious, warm your soul kind of meals/desserts to keep you toasty right through winter. Risotto in particular is a meal you associate with butter and/or cream. It is so delicious but can be entirely too rich and heavy for me. The risotto I have created is equally as satisfying without the heaviness and stomachache you would get from the restaurant variety. 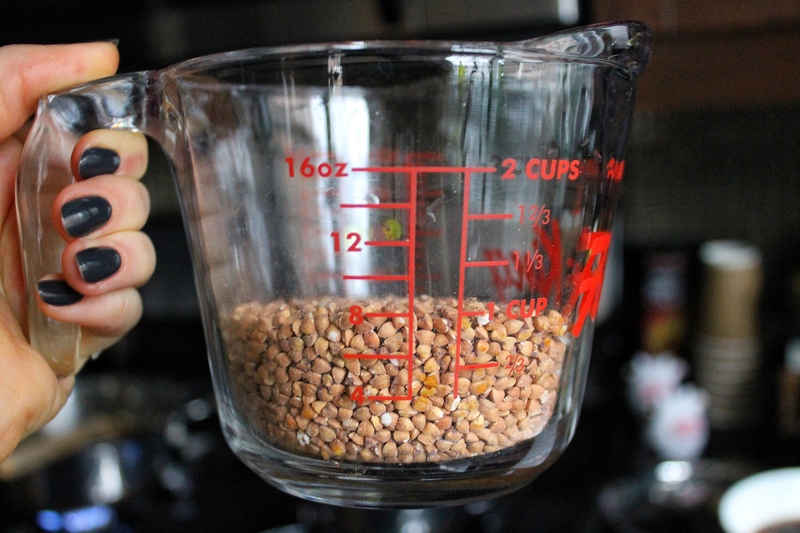 That being said, this makes a great side for any protein source be it meat, beans or tofu. How about turkey? 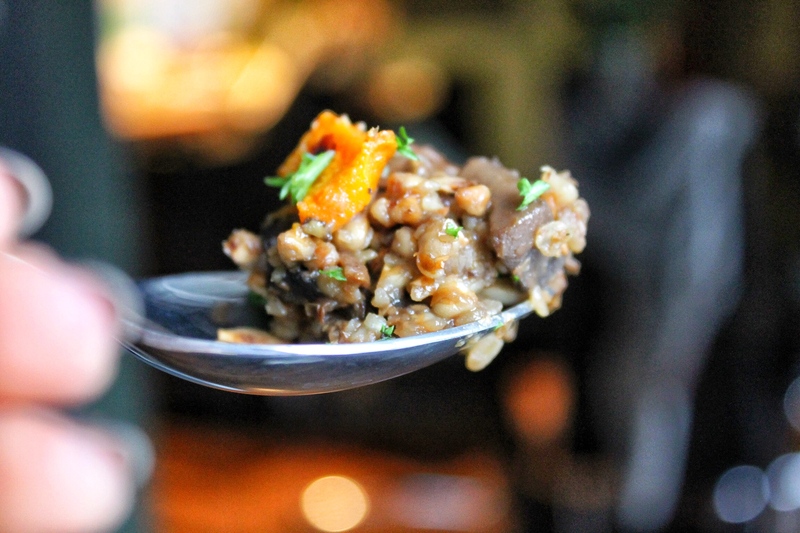 The combination of earthy mushrooms and sweet butternut squash with crunchy hazelnuts just screams holiday! Don’t you think? 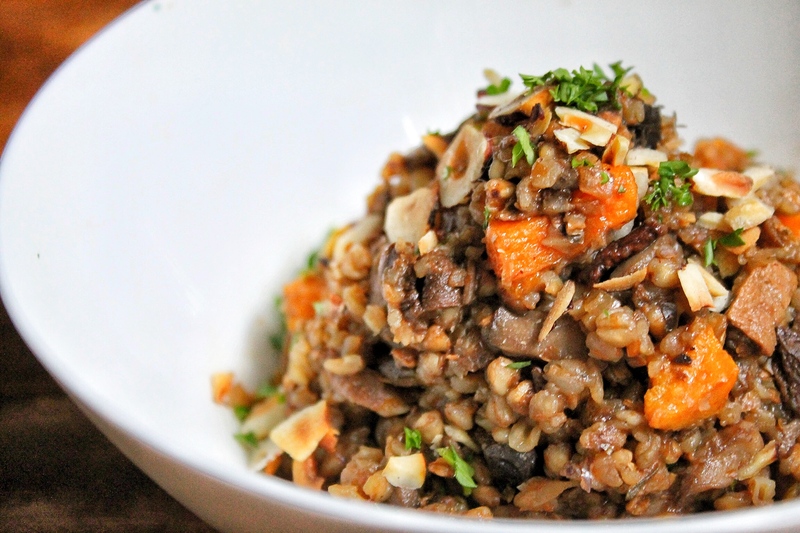 This can be a perfect stuffing substitute for your gluten/dairy – free guests! 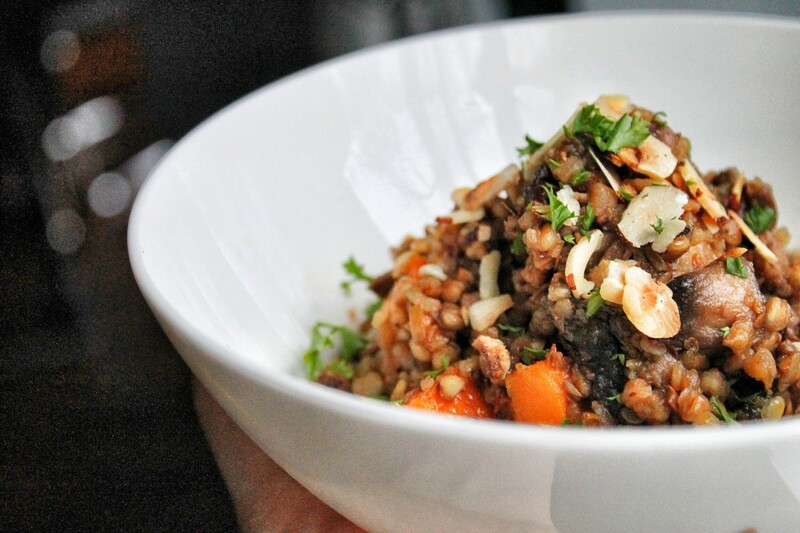 Besides for its delicious flavour, this meal packs a big nutritional punch. I used a combination of porcini, oyster and portobello mushrooms which deliver cancer fighting properties and can lower cholesterol. Many people don’t know that Buckwheat isn’t actually a grain but comes from a plant (despite its grainy appearance). It ranks low on the glycemic scale which keeps your blood sugars levelled – which helps prevent weight gain and obesity. Most importantly, this recipe is DELICIOUS and gluten, dairy and refined sugar free. Happy holidays and bon appetit! 1. Preheat oven to 350. On a large baking sheet, coat chopped butternut squash in 1 tbsp olive oil and salt and pepper. Bake for 45-60 min. Allow to cool. 2. 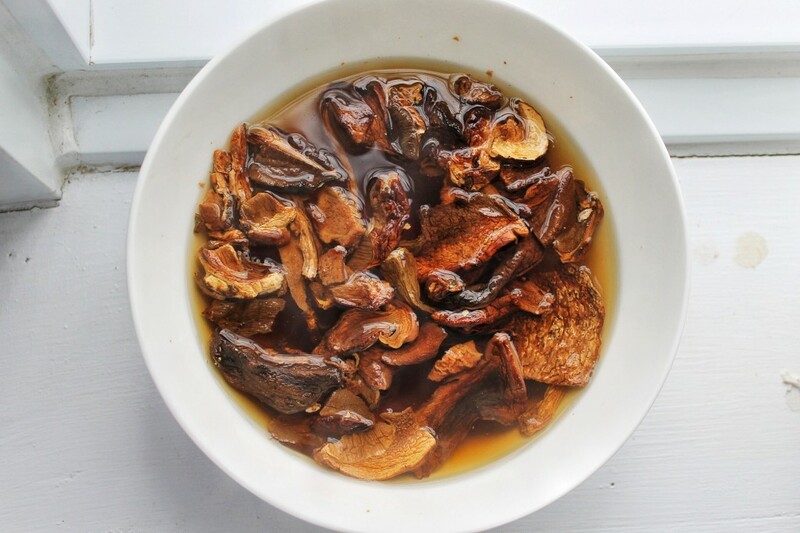 In a bowl, place dried porcini mushrooms with boiling water and allow to reconstitute for 10 minutes.Place vegetable broth in a stock pot over medium heat and have a ladle on hand. 3. In a large skillet, heat remaining olive oil on medium heat. 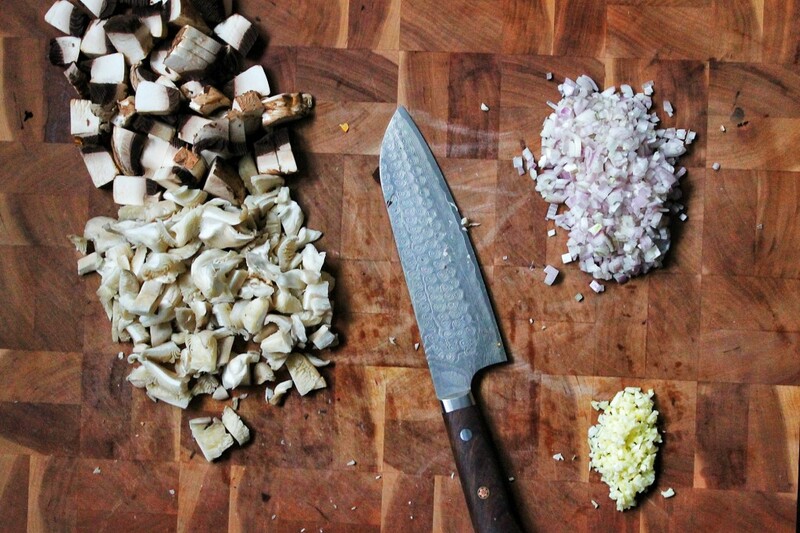 Add your shallots and cook until translucent and soft. Add garlic and mushrooms and cook for about 10 minutes or until mushrooms have reduced down. Add 1/2 tsp salt. 4. Add 1 cup of buckwheat into skillet along with oregano and thyme. Sautée for 2 minutes and then add 1 ladle broth. 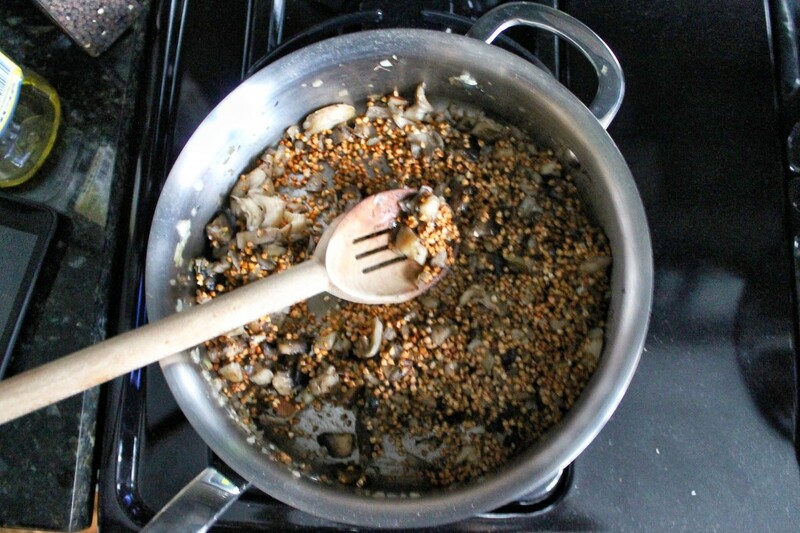 Stir until buckwheat absorbs all the liquid, then add another ladle of broth. 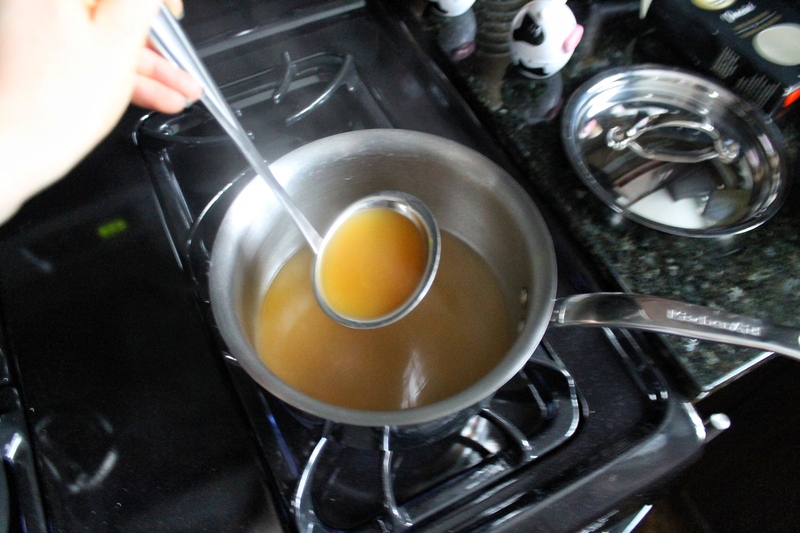 Continue to do this until all the broth is absorbed, then add 1/2 of the porcini liquid and stir until absorbed. Add remaining porcini liquid. 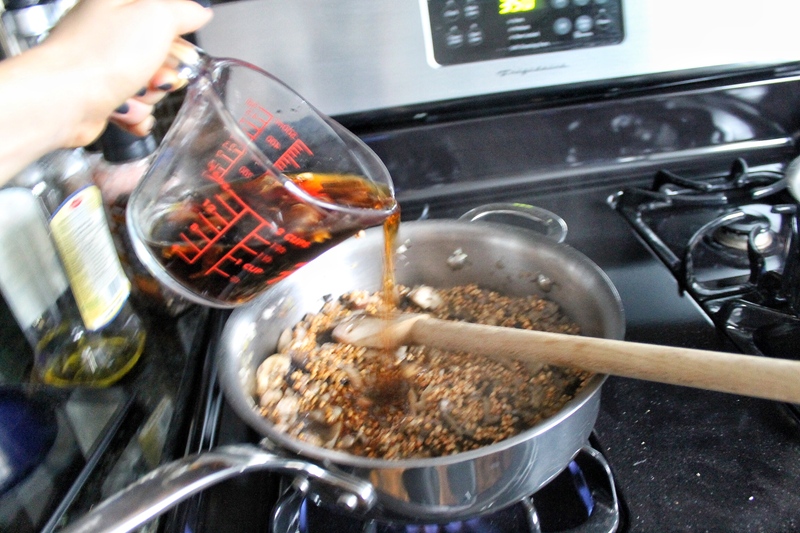 Chop the reconstituted porcini mushrooms and add to buckwheat mixture. Add apple cider vinegar. 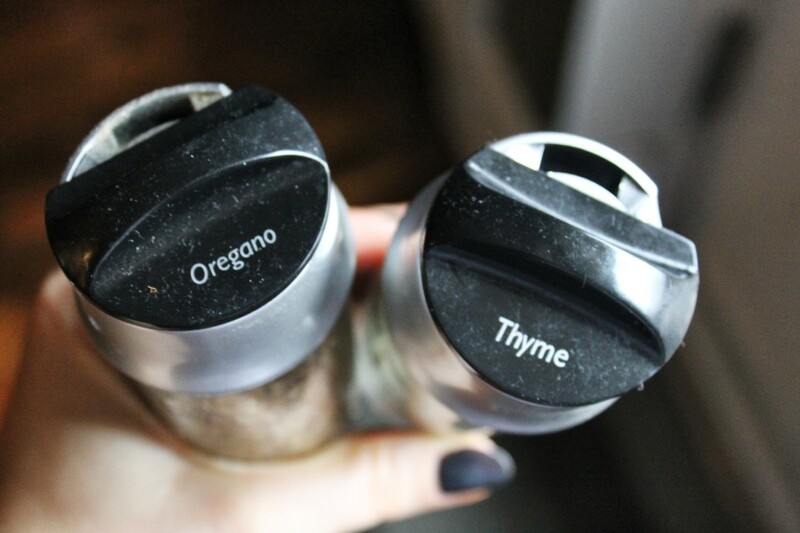 Taste and adjust seasonings to your liking. 5. 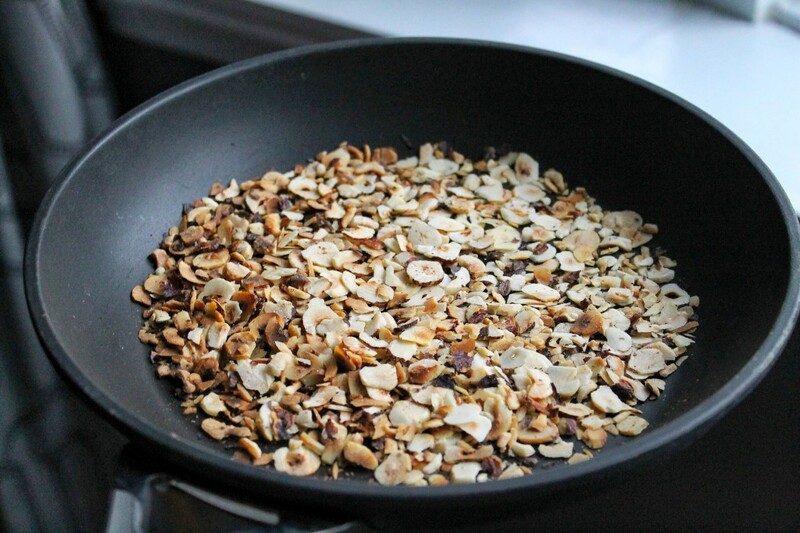 Toast hazelnuts in a dry pan for about 5 minutes or until oils are released. 6. 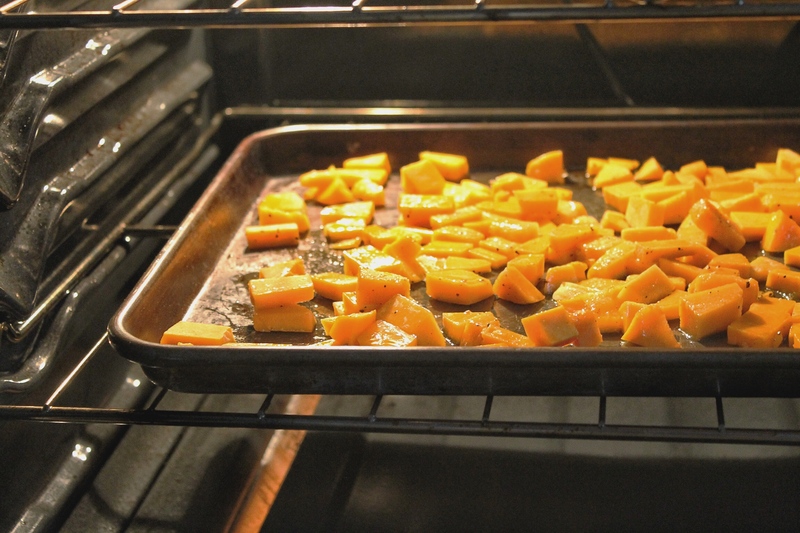 Carefully toss cooked butternut squash into the buckwheat mixture. Top with fresh chopped parsley and toasted hazelnuts. Wow this looks amazing. I am looking for ideas for our friendsgiving and this is definitely going on the list! Hi, does this recipe serve 2 or 4? Thank you! between 2 or 4. I’d say about 3. Always depends who is eating!